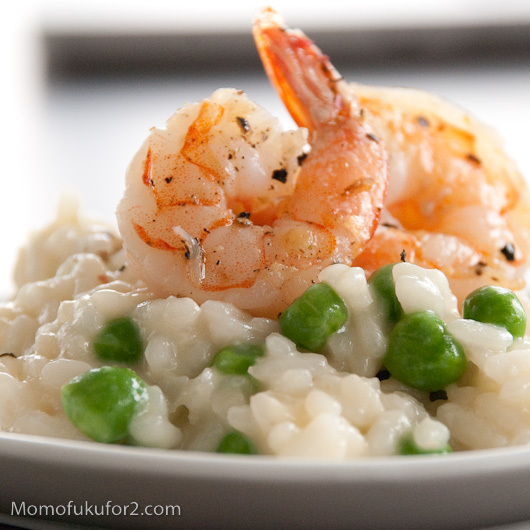 The first time I made risotto, I literally stood at the stove for hours, stirring. I thought my arms were going to fall off. I was under the impression if you didn’t stir risotto constantly it would be an epic fail. The risotto that time was an epic fail, but it wasn’t due to my constant stirring, it was the fact that I didn’t heat the broth before adding it to the arborio — the recipe I used didn’t mention this fundamental step. In order to do my part in eating local, sustainable food, I decided to forgo using crawfish in the Sichuan Crawfish and instead substitute live, local prawns. 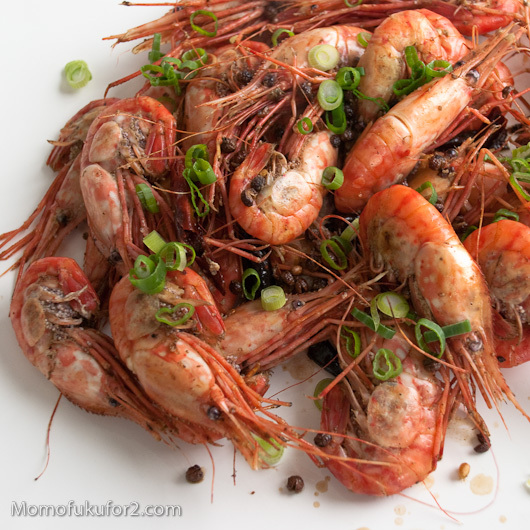 Since crawfish and prawns are both crustaceans, it wasn’t too much of a stretch for me to think of the prawns as tiny, underdeveloped crawfish.